Datalogic Automation introduces a new range of best-in-class bar code readers designed for more cost-effectiveness and better performance in a compact form factor. Datalogic’s Matrix 300 image-based bar code readers combine a compact and robust design in a cost-effective package. The new technology upgrades for the Matrix 300 address market needs for identification in general manufacturing, automotive and electronics production, and general machines in packaging lines and automated warehousing. 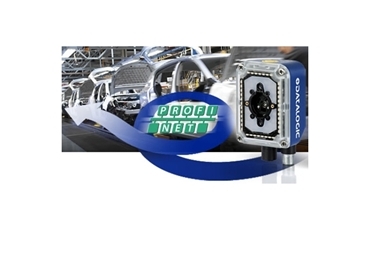 New upgrades in the Matrix 300 bar code readers include PROFINET-IO on-board, which achieves maximum compactness of the mechanical installation and allows for easier installation and integration into existing systems through data transmission over PROFINET; and Liquid Lens Dynamic Focus Control, which increases the reading area and depth of field as well as the working distance, while maintaining the cost-effective design. The third upgrade in the Matrix 300 barcode readers solves space challenges with a wide Field of View 6mm lens allowing for external focus position control and providing the perfect solution for applications with space restrictions or those that require close reading distances.